This pattern is characteristic of the style worn in South Louisiana in the early 1900's. Both machine & hand instructions in the pattern. Two variations of the same gown in this pattern. Baby slip is included and it features a ruffle at the hem to give fullness to the gown. Gown is the classic 27" length. 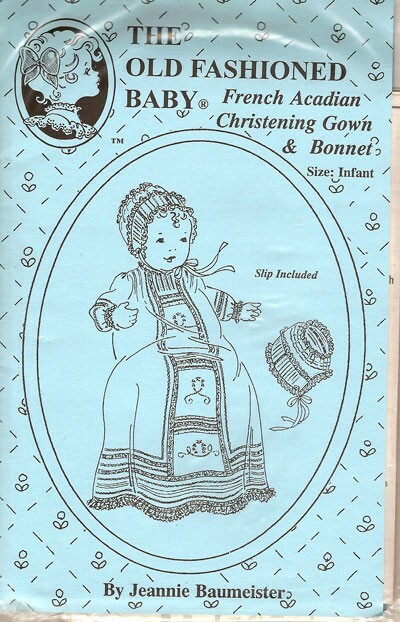 Bonnet matches gown.